Opportunity is in Estonia's air, like the bright crispness of its cold winters. Since the fall of the Iron Curtain Estonia has rushed towards modernity with open arms. Recent investment in Tallinn means that you'll definitely find some of the best places to stay in Estonia in the capital, but look further afield and you'll find charming seaside towns, spa resorts surrounded by forests and plenty of great outdoors to conquer. Tallinn's magnificent Old Town is well known for its beauty, but now, in addition to the medieval treasures, there are now also dozens of cafes and restaurants, bars and nightclubs. The Baltic might not be everyone's idea of a great place to swim, but Estonia's Baltic beaches are beautiful. And while the swimming season is short, this coastline is scenic all year round, and there are hundreds of idyllic road trip opportunities. Most of which will either start of finish in Tallinn, with its medieval heart, thought of as one of the most atmospheric and charming Old Towns in Europe. But these days it's also thought of as forwarding thinking in its fashions, hipster in its culture and music, and as a great place to go out. Tallinn has been playing clever catch up since it emerged from behind the Iron Curtain in 1991, and today's city embraces technology, arts and multicultural five star luxury in clean, but colourful, Scandi lines. As well as its capital and its history, Estonia has a lot to offer outdoorsy people.
? and miles of beautiful Baltic coastline dotted with hundreds of islands, and even more secluded coves. All of these endeavours are best followed by a sauna, one of Estonia's national pastimes. The Kreutzwald Hotel Tallinn is an ultra modern hotel with the added extras of a spa, gym, sauna and solarium. And, to prove Tallinn's international stripes, a Brazilian restaurant. The Savoy Boutique Hotel is Art Deco in style and close to the town square and all the major historic sights. If you want classic grandeur and a Grand Dame of a hotel you need the Telegraaf Hotel. Once the telegraph exchange, this is now very definitely a luxury boutique hotel. 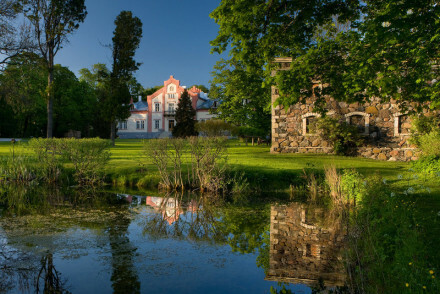 Book Padaste Manor for a 16th Century Manor house with its own private beach on the Baltic. One of the best places to stay in Estonia if you want to be pampered in luxury with great spa and innovative Nordic cuisine. Merchant‘s House Hotel was, as the name says a medieval merchant's house in the heart of the Old Town, and is now a charming hotel with plenty of charm below its wooden beamed ceilings and hand painted frescoes. The Hotel Cru was also once the home of a merchant, but this hotel conversion of his 14th Century home has added a bit of the modern into the mix of oversized antiques. With just 23 rooms, the Schlossle Hotel is certainly cosy in size, but it's huge on charm, a popular spot with politicians, pop stars and even Prince Charles. The Bridgettine Convent Guesthouse offers modest accommodation in a modern convent right by popular Pirita beach - perfect for groups. The Poska Villa is a charming homely guesthouse in Tallinn's leafy Kadriorg district - simple, but squeaky clean and its eight rooms start from just £35 per night. Still not sure which to book? Browse through our list of all the best places to stay in Estonia, or contact, one of our friendly gurus for advice. Modest accommodation in a modern convent. Perfect for groups or those on a budget - the rooms sleep up to three people and the rates are inexpensive. Groups - Rooms can sleep up to three people. 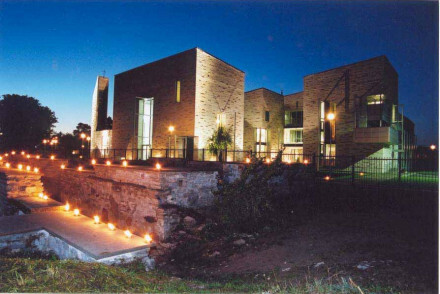 Unusual - The Convent of Pirita. 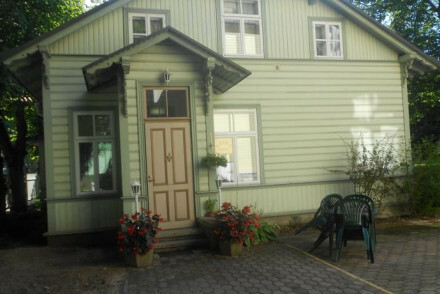 Simple, homely guesthouse in leafy Kadriorg district. A wooden house with rooms and suites, some in the attic. Basic decoration - local wooden furniture, floaty curtains, and sparkling shower rooms. A tiny breakfast room too. A boutique 16th century country house set in stunning grounds with its own private beach. Seamless rooms and suites in creams and whites with wooden floorboards. Fabulous innovative Nordic cuisine, a top of the range spa and hammam, and breathtaking views. Romantic, gourmet, totally relaxing. Total relaxation - Fresh air, sea breeze, gardens, Nordic food, and a pampering spa. Sights nearby - Take a tour to the old Koguva fishing village.